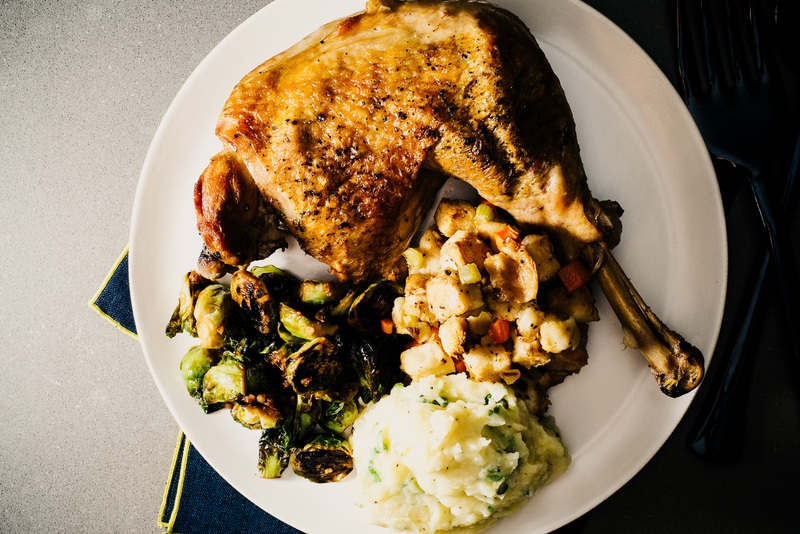 Recipes → entertaining → Canadian Thanksgiving Round Up! This weekend it's Canadian Thanksgiving! I like to celebrate both Thanksgivings because turkey pants deserve to come out at LEAST twice a year, right?! Canadian Thanksgiving always sneaks up on me because it’s in October, not November. I used to get confused when I was a little kid because all of the things on TV told me that right after Thanksgiving, it was Christmas. So I’d be hanging out for the rest of October wondering where all the Christmas decorations were. Now I know better and Canadian Thanksgiving is just my gateway into all things Fall. I’m not really sure why Canadians celebrate Thanksgiving early. My google research showed me that a parliament dude randomly decided on the second Monday in October. Some speculate that it’s because harvest time is earlier in Canada cause we’re the true North strong and free. But really, it’s no big deal cause it just means that we have an excuse to eat turkey in October. Not that we need an excuse. Here’s a round up of some turkey ideas, to get you in the mood! Happy Thanksgiving Canadian weekend friends! Thanksgiving Turkey Five Ways: This is a twist on the classic bò 7 món, or beef 7 ways. I didn’t go all out and do turkey 7 ways, but I did do 5! 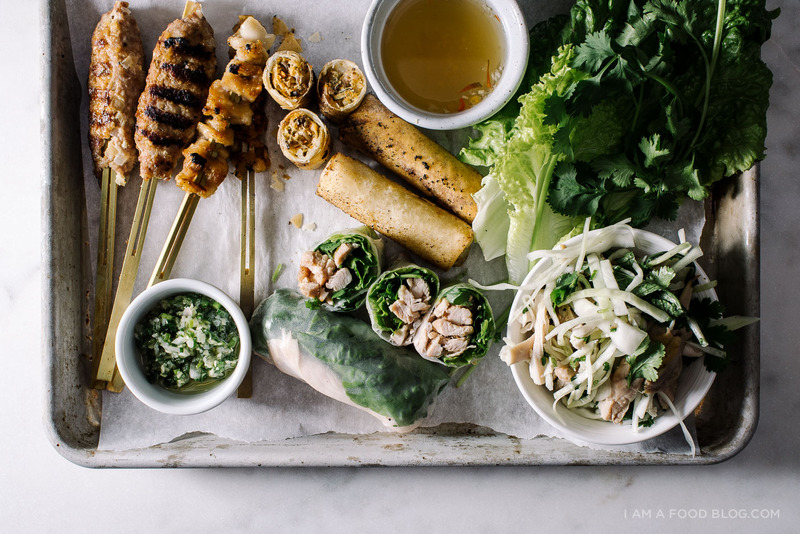 We’ve got: lemongrass scallion oil sous-vide and grilled breast and thighs, turkey salad with cabbage and Vietnamese herbs, crispy grilled turkey skin skewers, deep-fried turkey spring rolls, and lemongrass turkey meatball skewers. 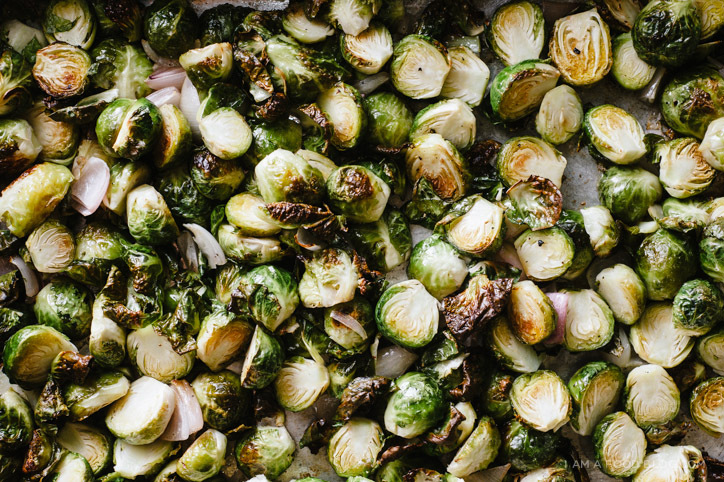 Pan Roasted Honey Garlic Sprouts: I’m a brussel sprout fiend, especially if they’re pan-roasted for ease and tossed in honey garlic for deliciousness. 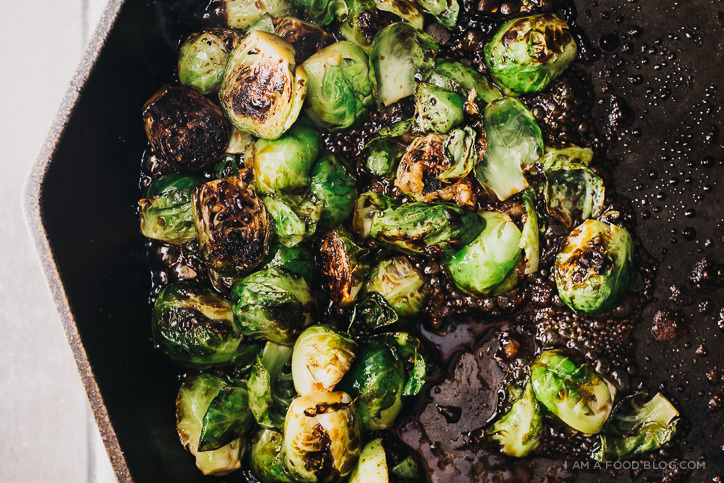 Oven Roasted Brussel Sprouts with Fish Sauce: More sprouts please! These guys are oven roasted for maximum caramelization then tossed in an addictive sweet and savory fish sauce vinaigrette. 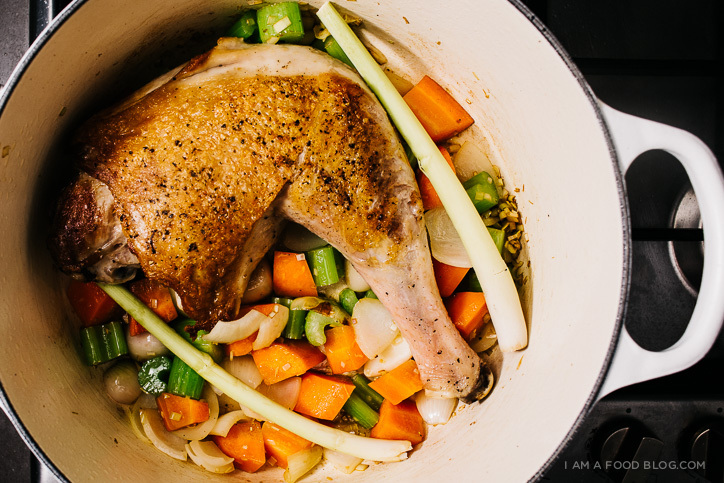 Lemongrass Braised Turkey Legs: Tender, fall off the bone lemongrass scented deliciousness. Turkey legs are perfect if you want to make a tiny Thanksgiving for two. 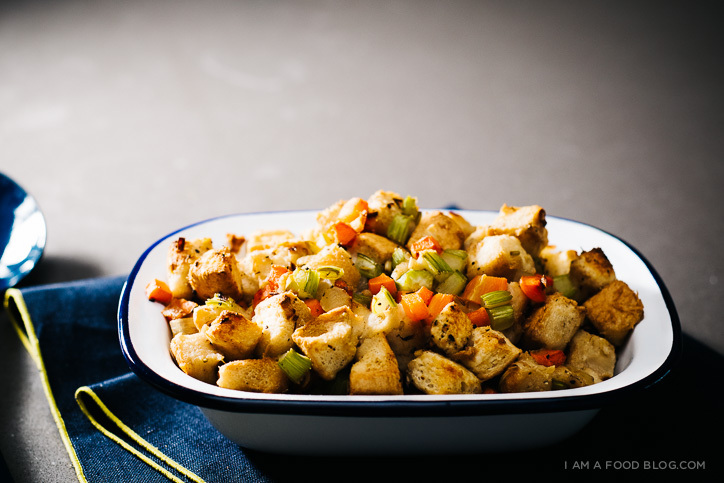 Lemongrass Stuffing: If you guys are into lemongrass, why not make some lemongrass studded stuffing to go along with your turkey? I’m team stuffing (or dressing as some people call it) all the way. Well, maybe I’m team sides cause I love mashed potatoes too! 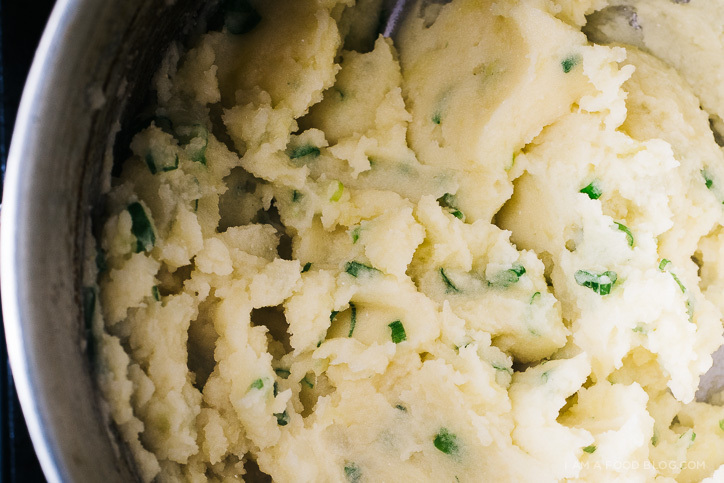 Miso Mashed Potatoes: If you thought mashed potatoes couldn’t get any better, you’re in for a treat! These guys are packed with an extra bit of umami thanks to white miso and green onions. I could literally eat boatloads. Alright! I’m out – gonna go eat prep my turkey now! Next week I’ll be back with some ways to best-over your left-overs! This looks so good, that I actually wish we had Thanksgiving in Denmark.